This versatile ballpoint pen is a true multitasker. The body doubles as a ruler with both inches and metric units. 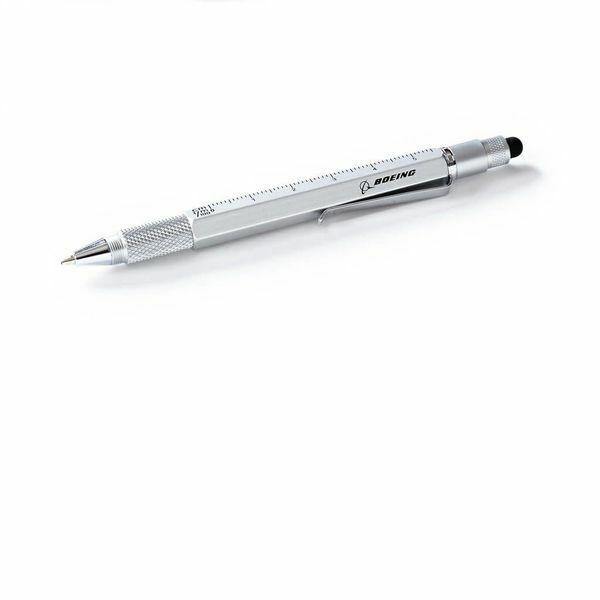 One end also functions as a stylus and opens to reveal a hidden screwdriver. Twist-function pen is made from silica gel, brass, and steel and features the Boeing logo. Imported. (COLOUR IS BLUE).